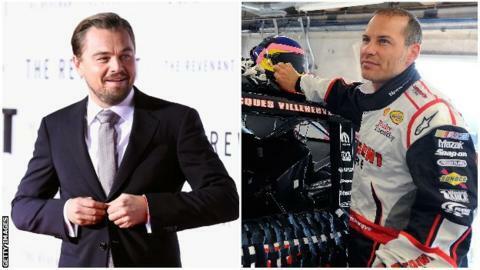 Former Formula One world champion Jacques Villeneuve's short spell in electric racing has come to an end after he left a team co-owned by actor Leonardo DiCaprio. Venturi Formula E team said on Friday that they had parted company with the 44-year-old Canadian by "mutual agreement" following a "disagreement over the future direction of the team". Villeneuve, F1 champion with Williams in 1997, competed in just two races. Britain's Mike Conway has replaced him. Villeneuve made his Formula E debut in Beijing last October but retired after a collision. He finished 11th in the next race in Malaysia but was ruled out of the third round in Uruguay after crashing in qualifying. Villeneuve was the first Formula 1 champion to compete in Formula E, a series which features cars quieter than their F1 counterparts racing in city centres. Read more on Formula E: Does it have a future in a world dominated by F1?